No experience? That's ok, join our auto product specialist apprentice program. 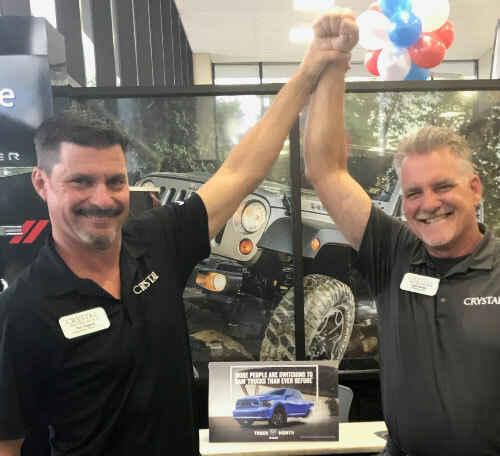 The Crystal Group was established by Steven D. Lamb in 1984 with a single Chevrolet store in Homosassa, Florida. Steve began with a mission to bring exceptional service and a vision of quality product to his customers. 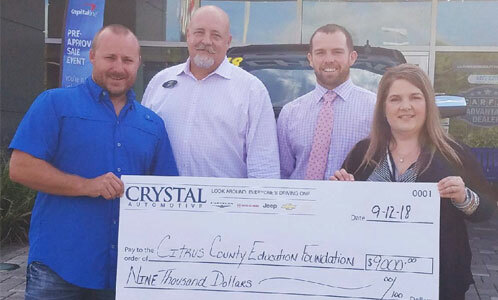 With the help of his wife Jewel, son Justin and a dedicated staff they have expanded to many locations throughout Citrus, Hernando, Marion and Volusia Counties, The Crystal Group offers sales and service for Chevrolet, Chrysler, Dodge, Jeep, Ram, Ford, Lincoln, Harley-Davidson, Kubota agriculture and construction equipment. In addition, we will carry Gravely and eXmark products. To this day the Crystal group is still a fourth-generation family owned and operated business that prides itself on creating long-term customer relationships that will last for generations. The Lamb’s, along with their entire staff, continually make a difference in the communities they serve through contributions of volunteering of time and financial resources.